Or should that be corn-u-copious? Who would have thought you could harvest buckets of fresh, sweet, succulent corn in the middle of a rather wintry May? Back in January, I sowed 1200 sweetcorn seeds to fill up the gaps at the back of our wedding garden. I sowed it purely for decoration – I wanted a lush green backdrop and sweetcorn seemed the quickest, cheapest, most tropical-looking solution. I didn’t expect to get a crop; indeed the agricultural seed merchants I bought the bulk seed from initially wouldn’t sell it to me, because it was far too late in the season to be sowing it. And they were right. The cobs that formed on the plants around our lawn were small and scungy. They were too far back in the border to get any benefit from the irrigation system, and then black aphids and green vege bugs (also known as shield beetles) descended like a plague and sucked the kernels dry. But what a different story it has been on the steep hill below our house. 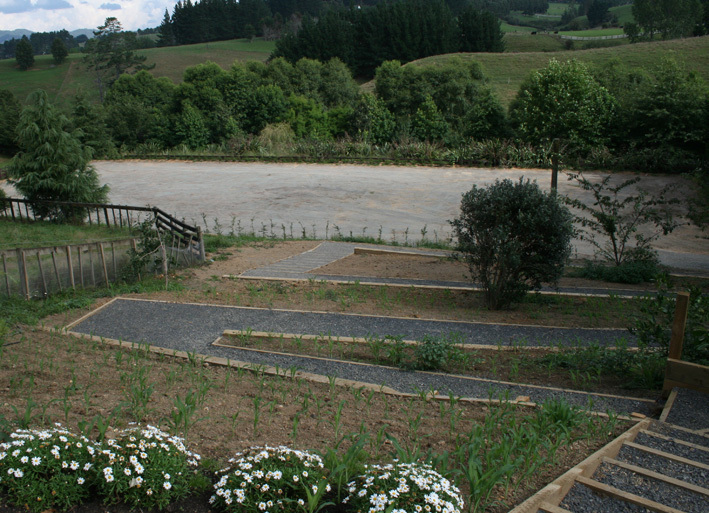 This part of the garden used to be the chook run but, before the wedding, we carved it into four terraces with gravel paths to provide access for guests to get from their cars to the ceremony. My original plan was to sow wildflowers in the terraced beds, but then I ran out of time so I just chucked in heaps of corn just to keep the weeds at bay. And now… we have ears of corn coming out of our ears. I should be composting the shabby old stalks after picking the cobs, but it’s far easier just to pull them out and biff them over the fence to the cows. They absolutely love the stuff. Ditto the chooks. They’re getting all the undersized cobs. PS. NZ Gardener is now on Facebook. For tips and tricks or just to chat to us, click here. Lynda, your energy was boundless when you were preparing for your wedding, and look how you are being rewarded!. Delicious sweet corn, (out of season)., food for both the chooks and cows. wow!! Don’t eat too much though, cause that will get things moving———-. 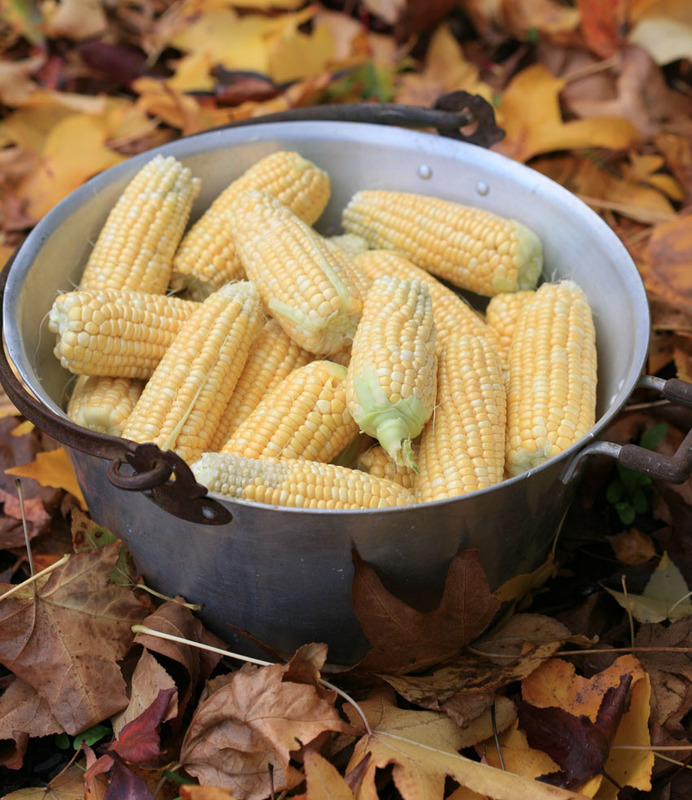 My mouth is watering at the sight of the bowl of corn. Could you slice the corn off cobs ,and freeze ready for xtra veg for meals?? A shame to waste it. Waiting for news of your wee man.